People have been asking me about more polymer clay mosaic tutorials. I have posted before on how to paint the baked tiles, and there is a YouTube video on how to paint them as well. CLICK HERE. Here are some pictures on how to put the mosaic together with the finished tiles. Since this is a star box I had to fiddle with and cut some of the tiles, which is tricky since they break pretty easily. 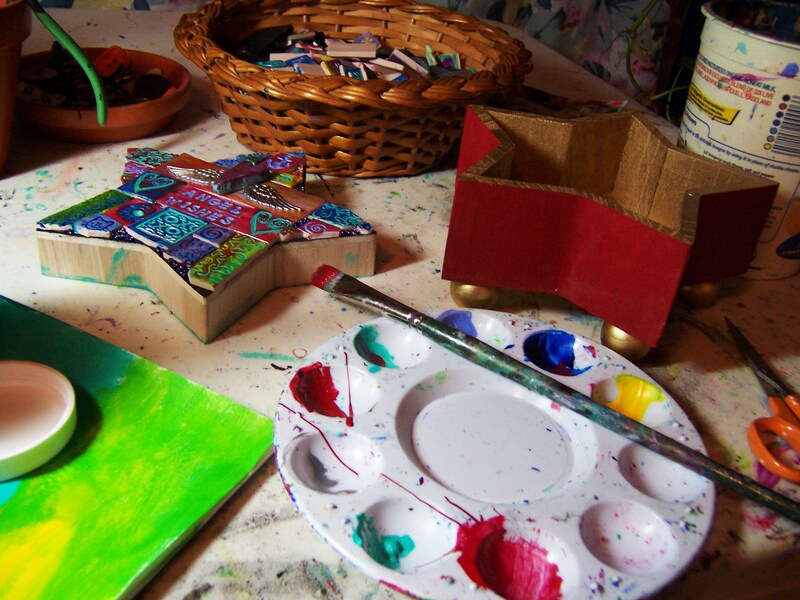 It’s much easier to make a square or rectangular design. I paint the lids black to hide any gaps between the tiles. If the gap is too big I place some glue and drop some seed beads to fill the gap. Here you can see some blue seed beads in the top two corners. The tiles were too big to cut for size. Seed beads are great and they lend some sparkle to the project as well. Choose a color that matches the main color(s) of your design. 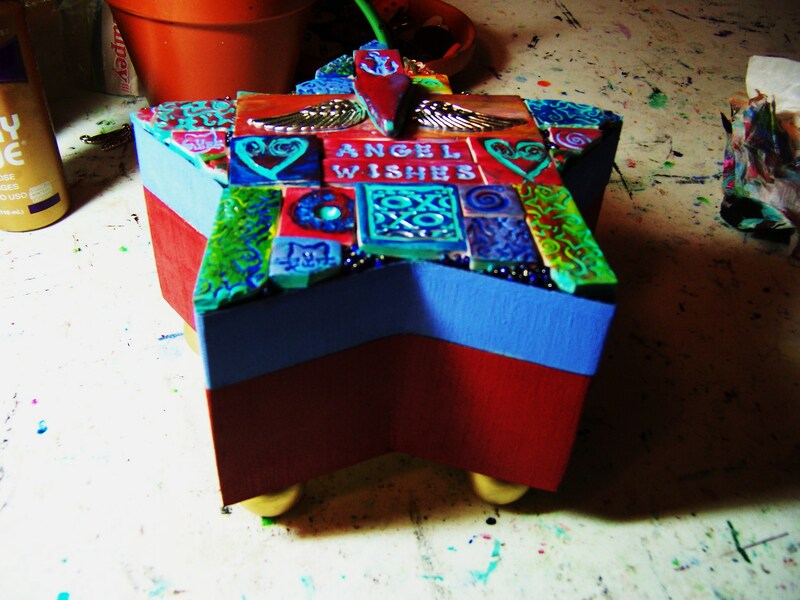 I painted the box on the outside with acrylic paints. 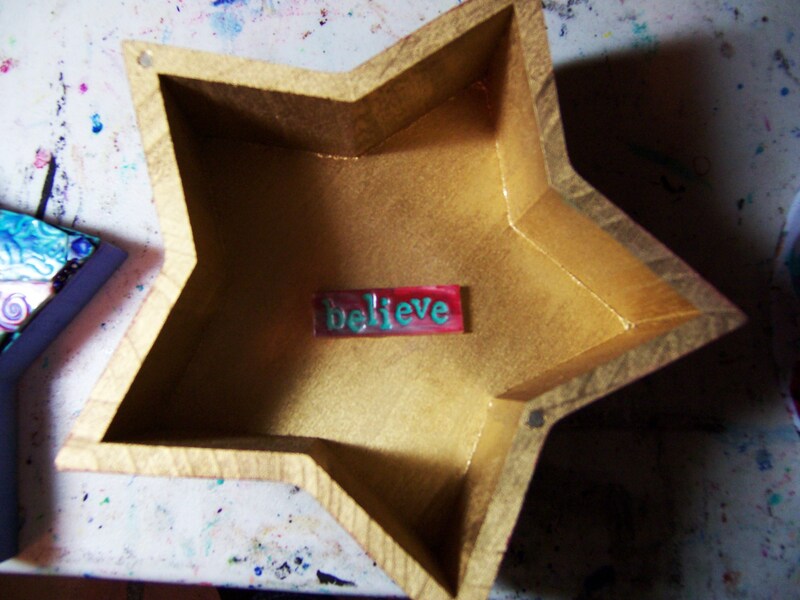 I spray paint the bottom and the interior with gold paint before I paint the rest. What do you think? Pretty colorful. I had fun making this, and so many others. 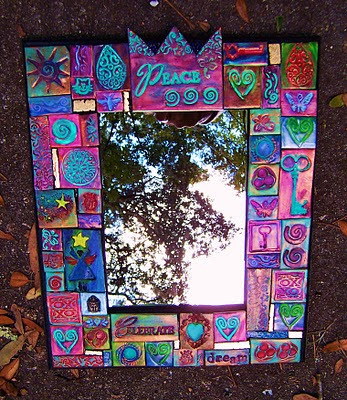 I made a mirror that promotes PEACE! I thought that was a worthy thing to be reminded of while looking into a mirror. Peace begins within and it’s a choice. I even had a Buddha charm I embedded in the clay and baked. The mirror part distracts from the frame in the bright outdoors, but there it is. 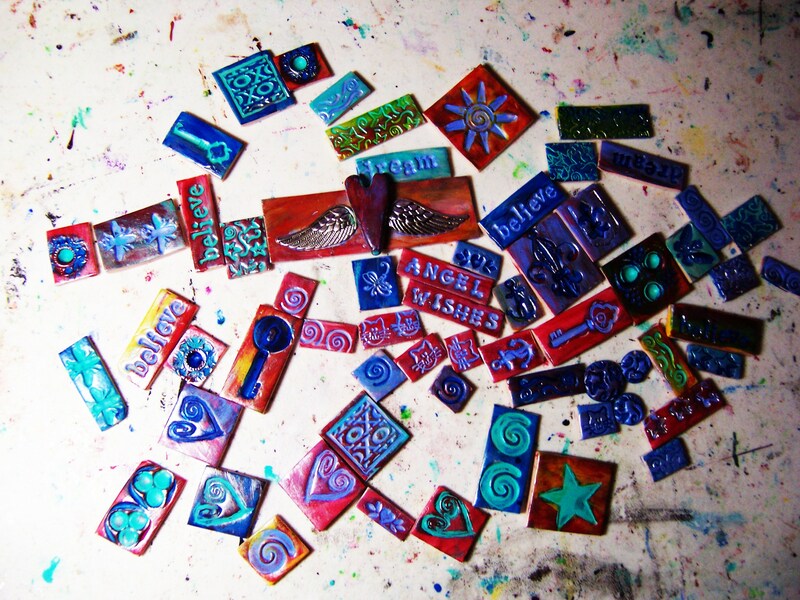 Polymer clay is so versatile you can make almost any design. 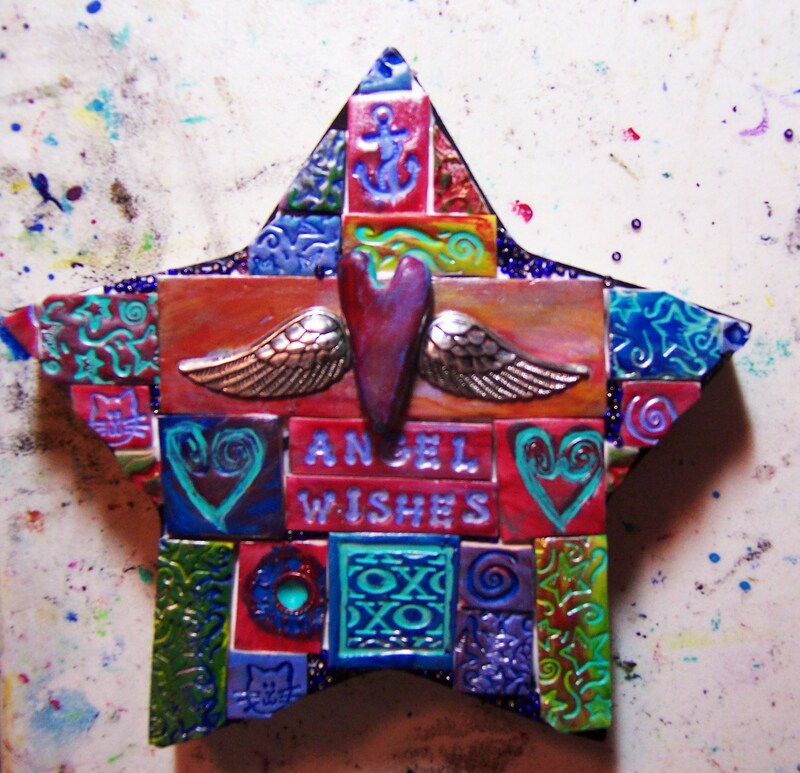 I use old buttons, rubber stamps, charms, found objects, and lettering to imprint the tiles. You can use anything that makes a nice imprint. If you enjoyed the tutorial, please leave a comment. 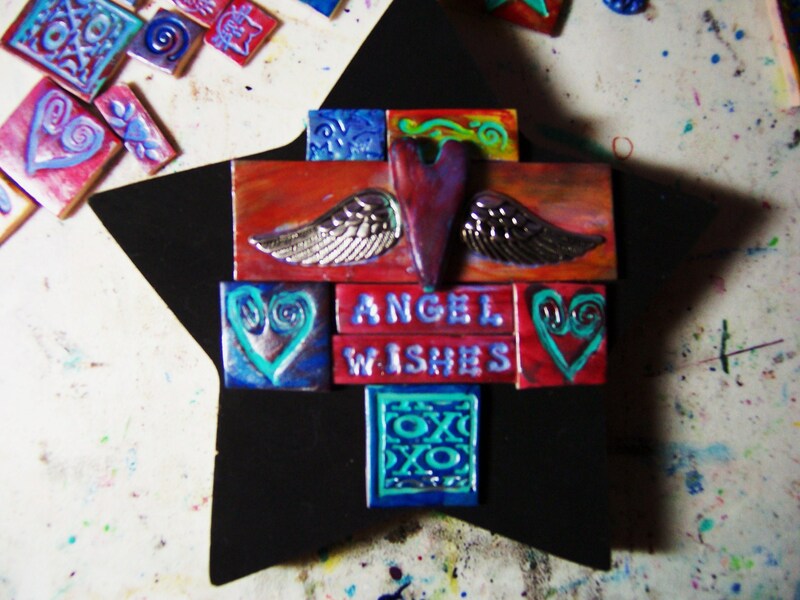 Please visit my new etsy shop, Earth and Faery. Previous PostMagic is afoot!Next PostCount yourself lucky. Such fun! Love how you did this. Thank you, Jean! 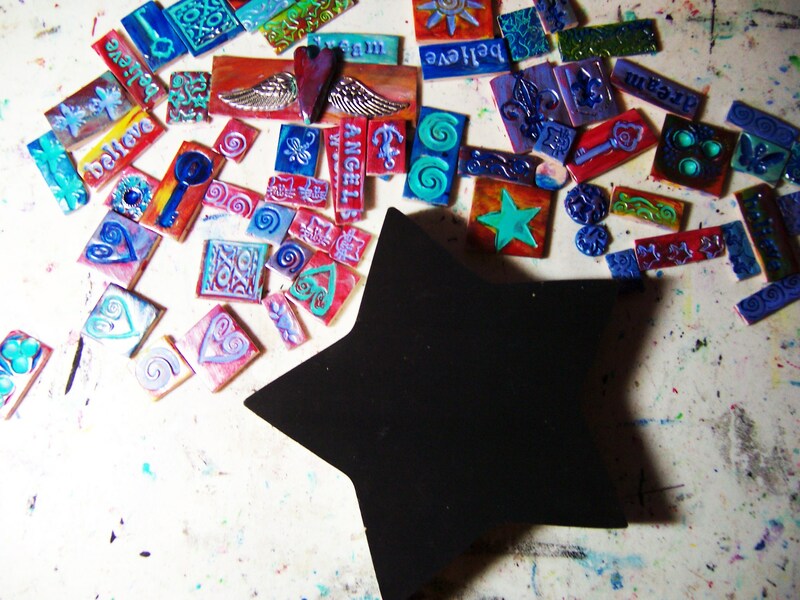 Yes, polymer clay mosaics are fun. It’s like a puzzle.